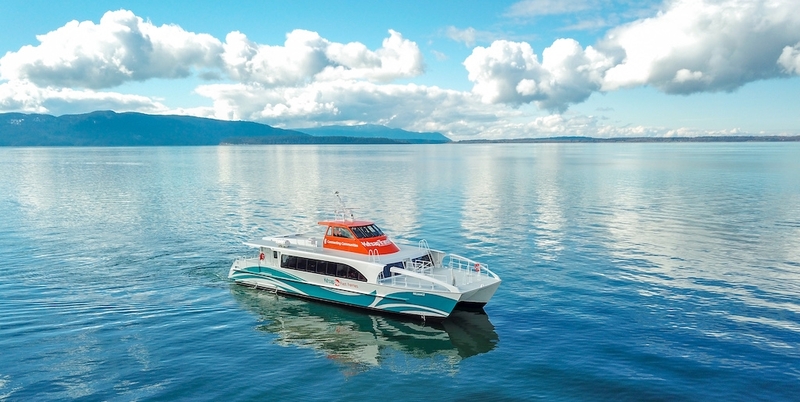 All American Marine, Inc. (AAM) has completed construction and launched the second of three low wake and high-speed passenger vessels for Kitsap Transit. 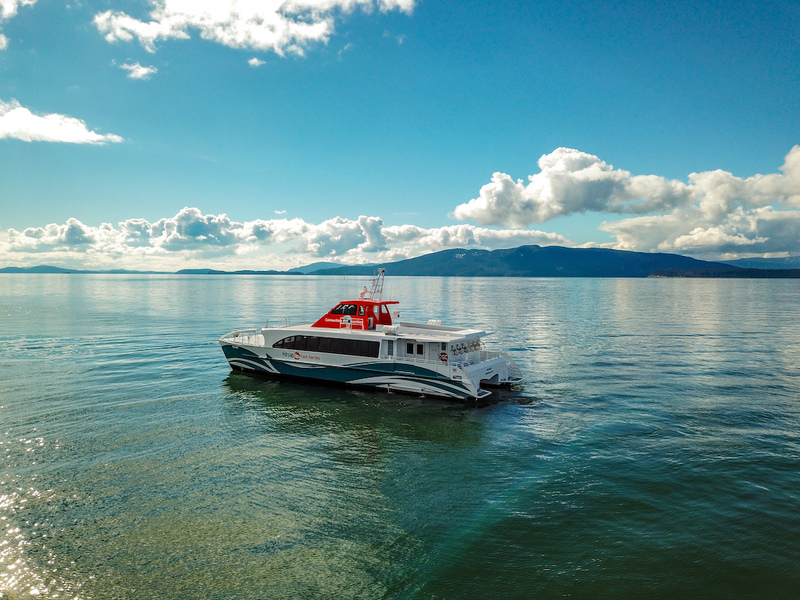 The Reliance, an aluminum catamaran with a composite superstructure, was launched in Bellingham on March 6, 2019. 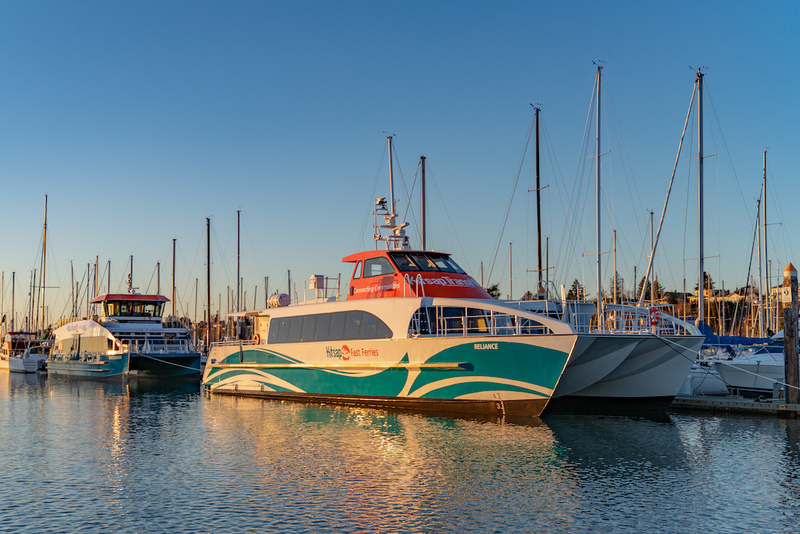 The vessel was designed by Teknicraft in Auckland, New Zealand and will operate on Kitsap’s current cross-sound ferry route between Bremerton and downtown Seattle. The design of the new vessel was based upon the successful ultra-low-wake Rich Passage 1 (RP1), built by All American Marine in 2011. AAM, the exclusive builder of Teknicraft Design hulls in North America, was tapped as the sole source to build this vessel. Teknicraft’s patented hydrofoil-assisted hull design is proven to have industry leading low-wake wash energy signature that will not degrade the sensitive shorelines of Rich Passage. 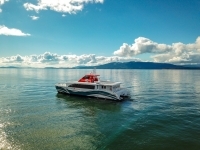 In 2005, through a series of federally funded wake wash studies, it became evident that the wake signature of a Teknicraft standard hydrofoil-assisted catamaran produced the least amount of wake wash energy within its vessel class. 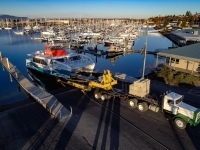 Kitsap Transit contracted with Pacific International Engineering of Edmonds, WA to spearhead the ongoing research efforts in conjunction with All American Marine and Teknicraft to further enhance and optimize the vessel’s design. Teknicraft’s principal naval architect, Nic de Waal, worked with hydrodynamicists from the University of Iowa’s IIHR-Hydroscience and Engineering Research Center as well as naval architects from INSEAN in Rome, Italy to model an ultra-low wake hull. 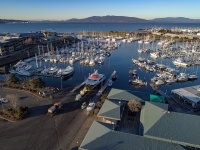 Coastal specialists from Golder Associates of Redmond, WA evaluated the proposed vessel’s performance in terms of wake generation and resistance. The vessel optimization study utilized Computational Fluid Dynamics (CFD) techniques to help refine the shape of the hull and hydrofoil to produce lower wake heights with less wake energy. “Our hydrofoil supported hull has been developed and refined over the last decade to become a leader in catamaran technology,” states de Waal. “With the additional benefit of sophisticated and intensive CFD modeling over recent periods, we now have one of the most advanced and environmentally friendly hulls in terms of the combination of low-wake, high speed, and low fuel consumption.” As a result of these studies, All American Marine constructed the Rich Passage 1. 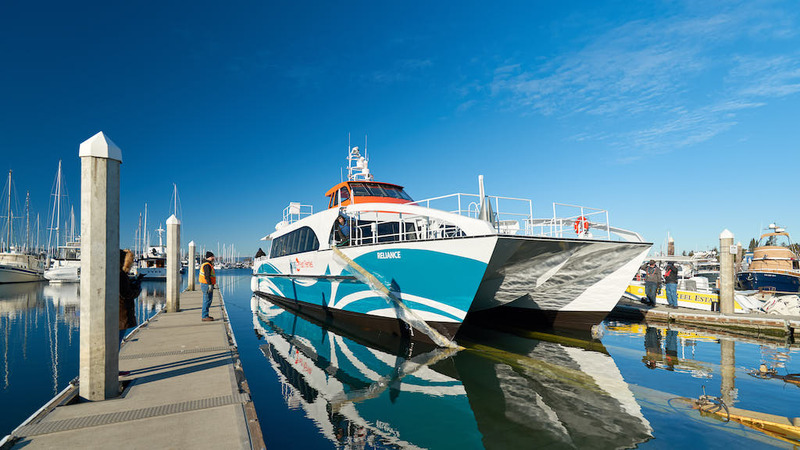 This successful research vessel proved that high-speed passenger ferry service could safely operate through Rich Passage without causing detrimental shoreline erosion. 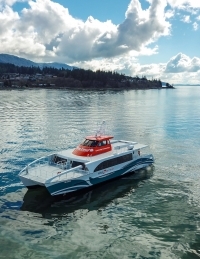 RP1 was placed into ferry service by Kitsap Transit in July of 2017. 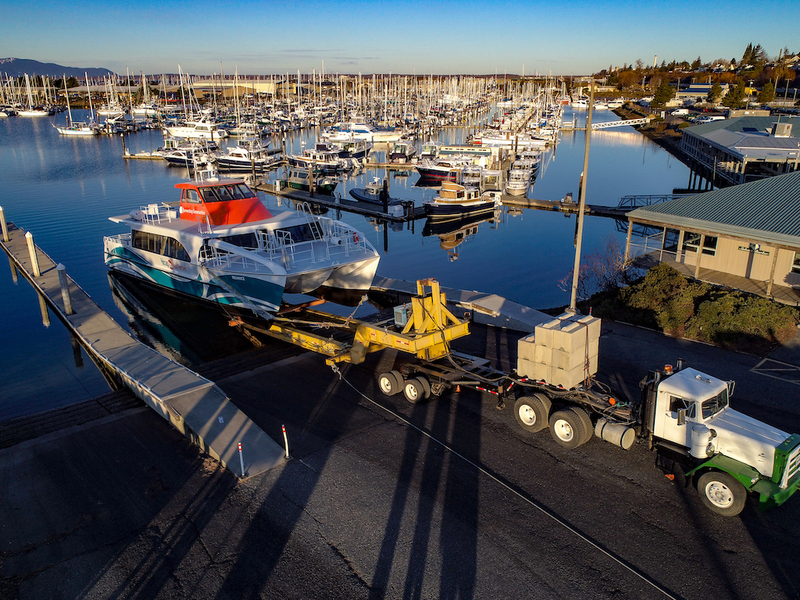 The successful launch of the Reliance will provide Kitsap Transit with a back-up vessel on the Bremerton-Seattle route. A third sister ship vessel Lady Swift is currently under construction at AAM and will launch in summer 2019. 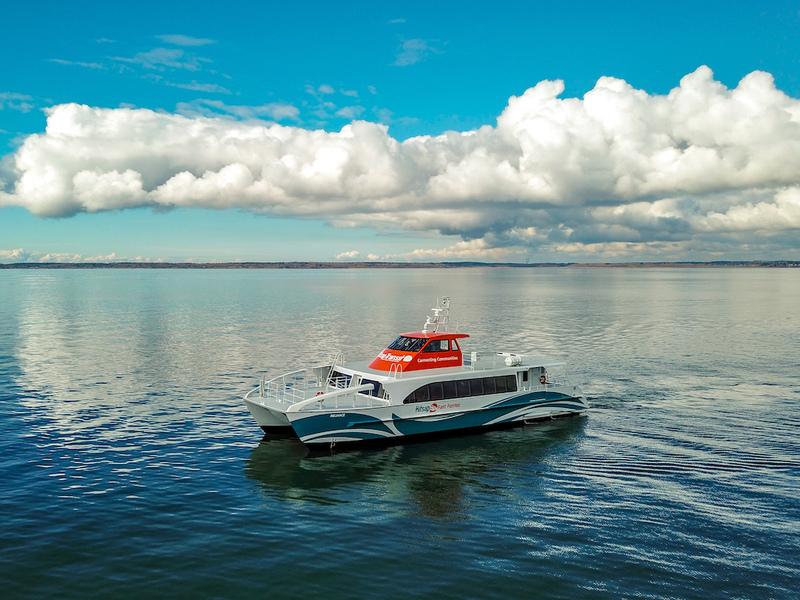 “Reliance is not your typical ferry, it was built to be very lightweight and to fly smoothly through the wake sensitive zone,” explains Matt Mullett, CEO for All American Marine. 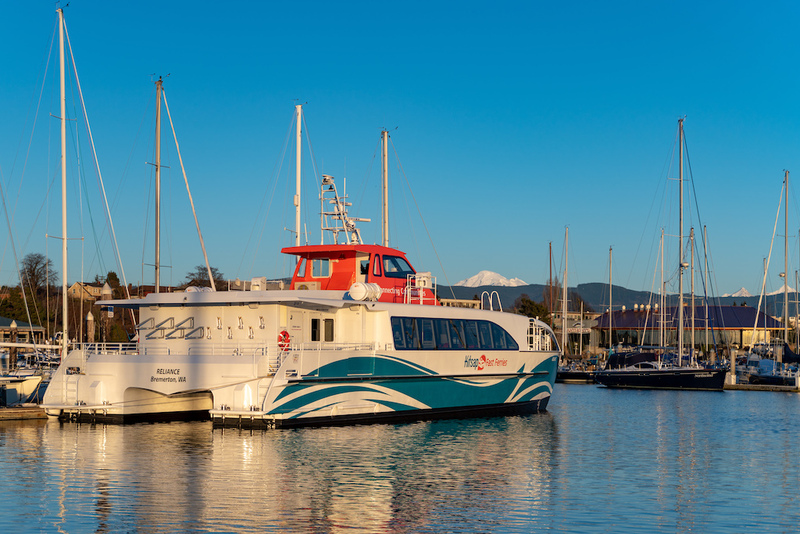 “This vessel was strictly modeled on the proven hull design, but additional enhancements and modernizations were added without hampering performance.” The 77’ Reliance was designed to carry 118 passengers and travel at service speeds up to 36 knots. AAM constructed the hulls with high tensile strength 5383 aluminum alloy. The passenger cabin and deck were made from composites. The dynamic hydrofoil was molded in carbon fiber and automatically adjusts as the vessel transits Rich Passage. Quad Hamilton 403 water jets and Caterpillar C-18 engines were fit to provide the high-powered propulsion system in compliance with EPA Tier III emission regulations. AAM’s craftsmen also utilized lightweight aluminum honeycomb panel materials for finishing the interior spaces and applied high-performance bottom paint to help accomplish the speed and wake requirements. This launch followed closely on the heels of February’s introduction of Kitsap Transit’s 149-passenger electric hybrid, Waterman. 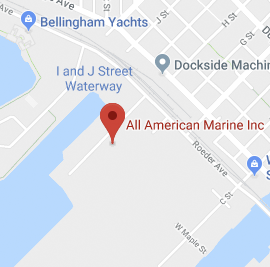 All American Marine’s new shipyard has provided an expanded capacity and production capabilities for both additional and larger vessels. The launch of this vessel further exemplifies All American’s position as the technological innovator in the North American marketplace.